River Tern Market officially opened last week on Main Street in downtown Pomeroy, providing many local natural and organic products. 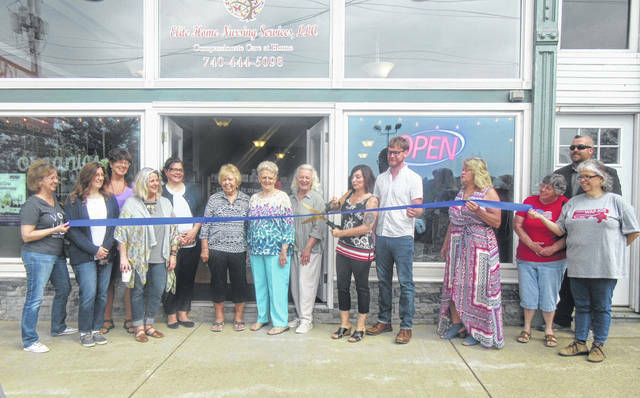 Owned and operated by Eddena and Tyler Roberts, River Tern Market is located in the same building as Elite Home Nursing on East Main Street. Eddena Roberts explained that the goal of the market is to bring local and organic products to the area. Some of the items in the market include Herbal Sage Tea from Pomeroy, Wildfire Herbs and Equinox Botanicals from the Rutland area, and Crumbs Bakery from Athens, as well as numerous other products. https://www.mydailytribune.com/wp-content/uploads/sites/42/2018/05/web1_5.10-River-Tern-1_ne201859135758814.jpgRiver Tern Market officially opened last week on Main Street in downtown Pomeroy, providing many local natural and organic products. Owned and operated by Eddena and Tyler Roberts, River Tern Market is located in the same building as Elite Home Nursing on East Main Street. Eddena Roberts explained that the goal of the market is to bring local and organic products to the area. Some of the items in the market include Herbal Sage Tea from Pomeroy, Wildfire Herbs and Equinox Botanicals from the Rutland area, and Crumbs Bakery from Athens, as well as numerous other products.